A hickey is defined as a bruise that is caused either due to some insect bite, but mostly due to love bites. Hickey commonly occurs due to sucking the skin so hard that it causes the breaking of the capillaries. The blood thus pools and turns the affected area red or sometimes purple. A hickey is neither dangerous nor painful. It usually heals in 5 to 10 days and rarely leaves any mark or scar. For some, people it may be a symbol of their love, but others want to get rid of a hickey and hide it as soon as possible. If for you hickey is a cause of embarrassment, then here are some fast and handy tips to get rid of a hickey. 1. Cold compress to get rid of hickey- Take an ice cube, wrap it in a cheesecloth and hold it on the affected area for about 10 to 15 minutes. This not only relieves the pain and prevents swelling, but also constricts the broken capillaries. 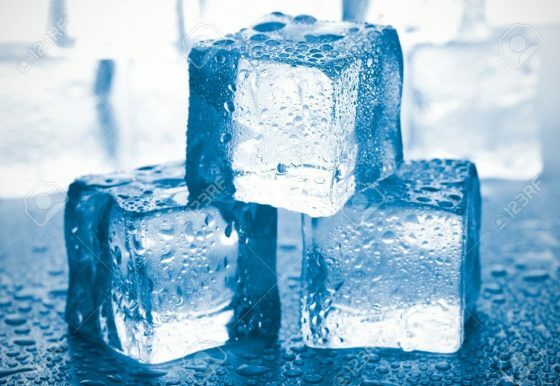 Avoid applying ice cubes directly to your skin as it may cause frostbite. For the best results, repeat this procedure 5 to 6times in a day. 2. Massage to get rid of hickey- Take few drops of essential oils on your fingers and place the fingers on the hickey. Now rub the affected area in circular motion firmly. When you massage a hickey the blood that is pooled scatters and the color fades. 3. Peppermint oil- Take 3 to 4 drops of peppermint oil and apply it to affected area once a day. Peppermint oil improves the circulation of the blood and heals the broken capillaries. 4. 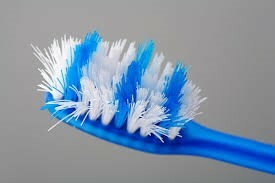 Toothbrush to get rid of a hickey- Take a new stiff-bristled toothbrush and brush the affected area for 10 to 15 minutes followed by applying a cold compress. This will stimulate the circulation of the blood and will reduce redness and swelling. You may also use a comb, but keep in mind not to press it too hard. 5. Alcohol to get rid of hickey- Soak a cotton ball with some alcohol and apply it followed by gently rubbing the area. Now moisturize the area to prevent the dryness. The cooling and soothing effect of alcohol minimizes the hickey. 6. Hot compress- If hickey proves to be stubborn soak a cheesecloth in hot water. Strain the cloth and apply to the affected area. Repeat this procedure for a few minutes to get rid of a hickey. 7. Aloe Vera- Aloe Vera is well known for its soothing and cooling effect. It also acts as a natural moisturizer. When you rub it on affected area 2 to 3 times it promotes the healing of the broken capillaries owing to its anti-inflammatory properties. 8. 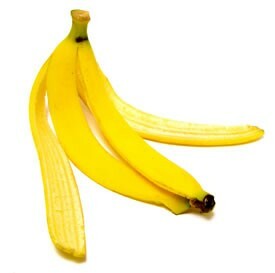 Banana peels to get rid of hickey- Take a fresh peel of ripe banana, cut it into small piece and place it on the hickey. After 20 to 30 minutes, remove it. Repeat this process 3 times a day. Soothing and cooling property of banana peel will minimize the hickey. Above mentioned tips to get rid of a hickey are effective, inexpensive and easy. If you know some more tips, please share them with us.